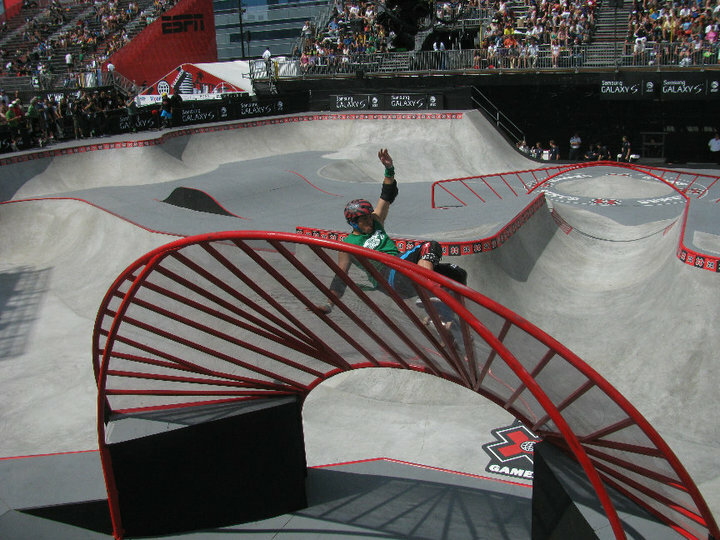 The ESPN X Games, the premier action sports event in the world, will be held July 28-31, 2011 in Los Angeles, California. Specific competition venues and event schedule will be announced at a later date. The X Games features athletes from across the globe competing for medals and prize money in the following sports: skateboarding, motocross, BMX and rally car racing. X Games 17 will be covered live on ESPN’s family of networks as well as across ESPN’s many digital media assets including ESPN.com/action, XGames.com and ESPN3.com. X Games 16 coverage was viewed by 35.4 million people in the U.S. during the four-day event, which includes all live and repeat X Games 16 telecasts. Outside the United States, X Games 16 was delivered to more than 382 million homes and was broadcast live to 175 countries and territories, including Africa, Asia, Australia, Brazil, Canada, Caribbean, Europe, Israel, Latin America, Mexico, Middle East and New Zealand. The X Games 16 total attendance was 138,525 – an increase of 24% from 2009. Spectators for the previous year totaled 111,200. Total hours consumed on ESPN3.com, ESPN’s 24/7 sports broadband network, during X Games 16 was up 238% compared to the prior year. Through two weeks of X Games 16 coverage (July 25-August 7), ESPN.com/Action generated over 1.3 million visits and nearly 2 million video starts, up 30% and 27%, respectively. Additionally, page views on the mobile web site were up 36% compared to the same time period last year. The X Games Channel on YouTube also had its most-trafficked week ever, with Saturday alone (July 31) registering a record nearly half-million video views.